I participated in an Influencer Activation on behalf of Mom Central Consulting for Huggies. I received product samples to facilitate my review and to thank me for my participation. I blinked and my daughter grew up! Its hard to believe that I am starting to plan her second birthday. These days she is spending her time chasing her brother all over the house and getting into everything. I have to tell you that it has been a lot of fun! A busy girl needs a big girl diaper that can keep up with her. We have loved Huggies Slip-On diapers for our growing girl. 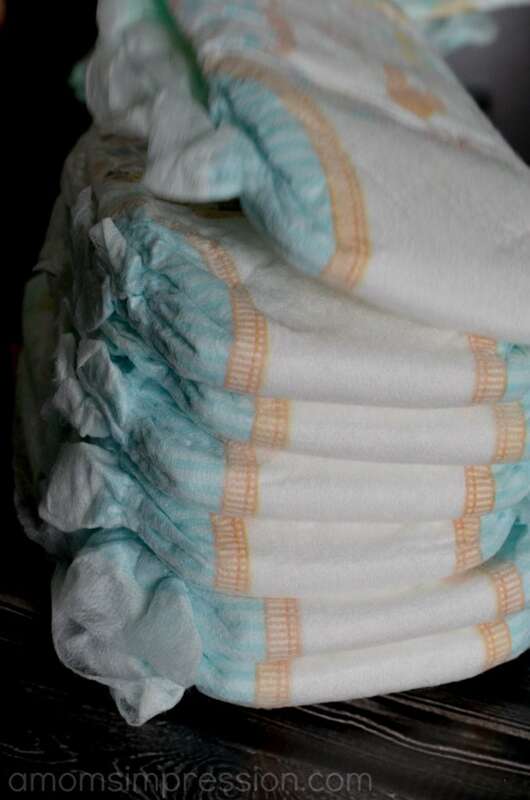 Easy open sides and grip tabs make removal and rolling up the diaper for disposal simple and easy. I can also easily change her standing up. 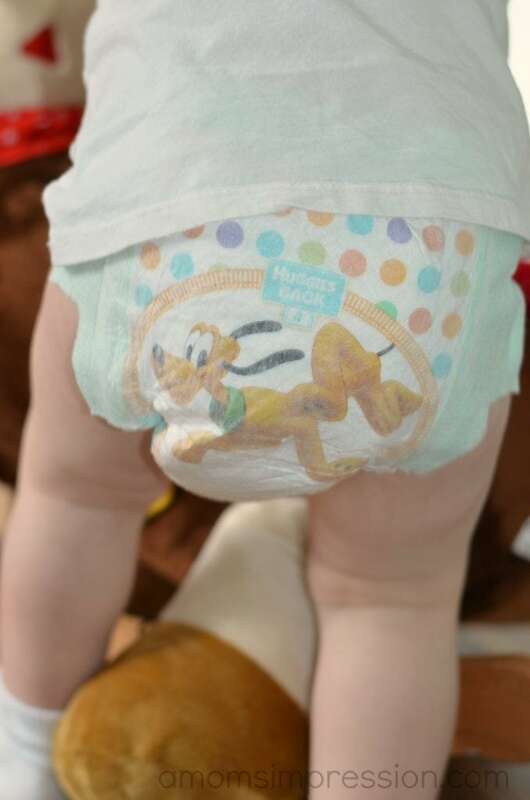 The diaper slips on easy and doesn’t leave any red marks. I love the pre-fastened sides that don’t require any adjustments. 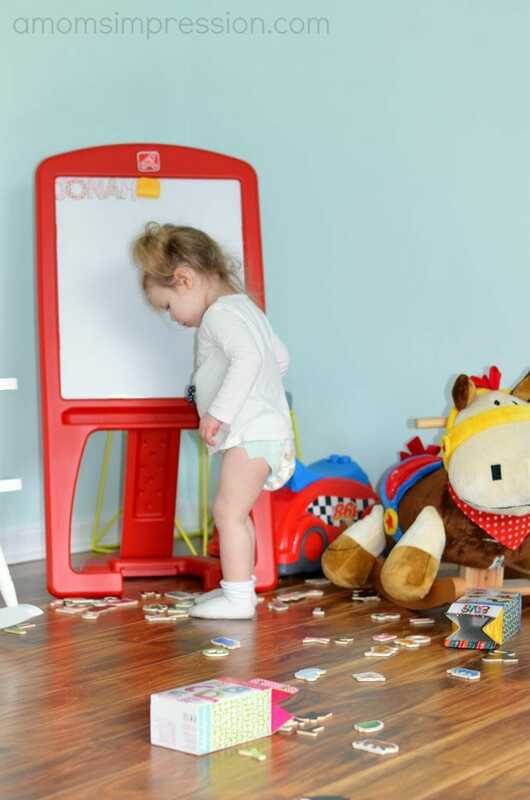 Every second counts with an active toddler. We used Huggies Slip-On Diapers before with Jonah and love the easy of dressing him instead of changing him. We never had any leak issues with him, so we knew the Huggies protection that we depend on is prevalent in the Slip-On diaper as well. So far we have had zero leakage! Caroline loves the Disney prints. She is obsessed with Mickey and Minnie and the gang so she loves looking and telling me all about the diapers when I am changing her. My lovely daughter doesn’t like to have her diaper changed. Before we started using Huggies Slip-On Diapers it would sometimes take two of us to get her changed. These diapers are perfect for those little ones who like to squirm and move when you change them. Right now Huggies has downloadable coupons where you can save $1.00 off a package of Huggies Slip-On Diapers. To sweeten the deal, if you share your coupon offer with three friends you can get a coupon for $1.50 off. While I am not a huge fan of how fast my little girl is growing up, I am a huge fan of these diapers. If you haven’t tried them, give them a go! Now I need to start planning a second birthday party. Any ideas?